Looks like Greg's trying to beat that Summer heat! Hey, just a heads up, Emerald is out traveling to BronyCon this weekend. Anybody going to be out there? Mynder is headed there as well, and Calpain is going somewhere lame that's not BronyCon. So Dave's kind of steering the ship for the next few days. Emerald has queued up some posts, so your regularly scheduled postings should still be churning out! It is a great day to check out some fantastic art! 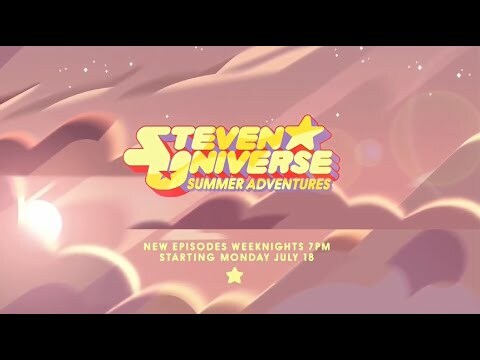 The Summer of Steven is almost upon us! It wasn't a myth after all! Here at Beach City Bugle, we're never ones to miss the opportunity to celebrate, so celebrate we shall with a week dedicated to Greg's favorite fusion, Rainbow Quartz! Each day, we'll be featuring a different short, completed fanfic featuring Rose Quartz, Pearl, or the combination of the two. 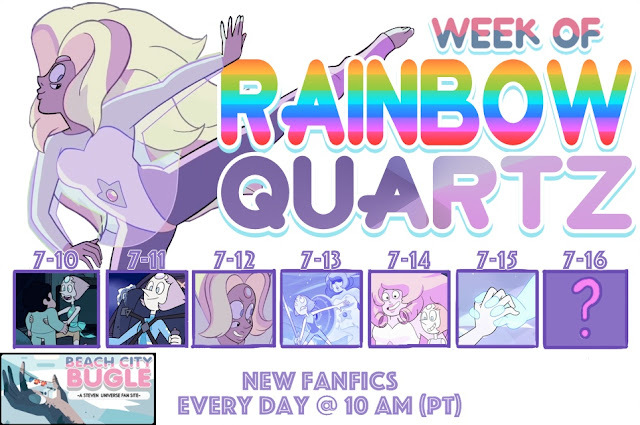 We'll also be featuring fusion-centric art all week, so please submit your best Rainbow Quartz art, comics, and music to beachcitybugle@gmail.com. Everybody is getting in on analyzing the new promo! Those 30 seconds packed in so many questions, clues, and hints! AJ Universe gives his analysis, below the break. 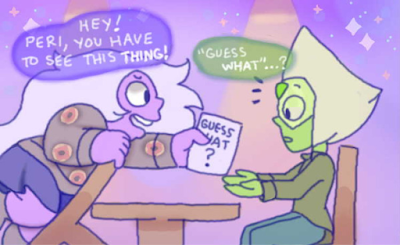 Fan Theory: Jasper's Redemption: Corrupted Gem Or Alone At Sea? Jasper may have been swallowed up by the Earth, but does that mean she's gone for good? Could the revealed marathon titles hold the key to her fate? Geass Universe has some thoughts on what might happen in the future! 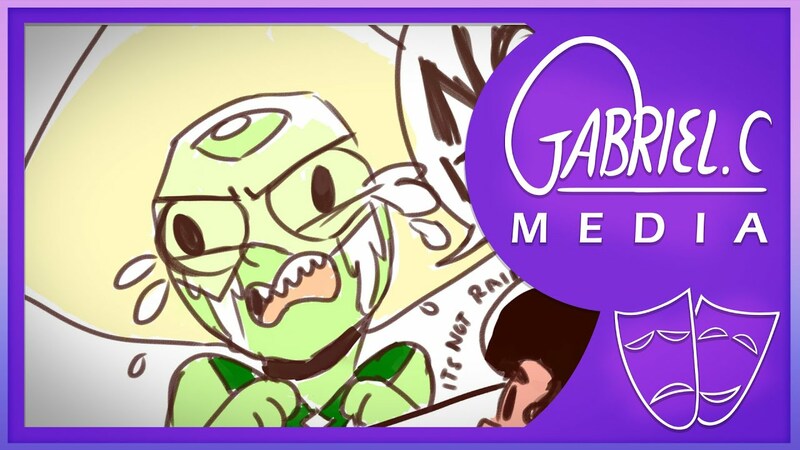 Get done and dance with this great SU fan music! Did Steven have super human quartz strength, or was Peridot just very weak? And is she going to be okay if small Steven is stronger than she is? Peridot is still learning some things about the Earth. Join her on her journey in today's comics! 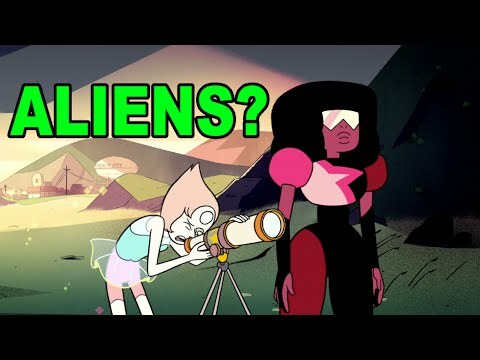 If the Homeworld gems originally wanted to conquer Earth, what stopped them from conquering OTHER inhabited planets? Well, probably nothing. They'd probably been doing the same thing all around the universe that they were planning to do to Earth. So are there still any other planets out there that aren't controlled by the gem Homeworld, that may still contain life that is neither human nor gem? Description: Connie was used to not having any friends. Two years after getting trapped in a magic bubble, she has plenty- but whether it's her own inexperience or the fact that most of them are literal aliens, it's not always easy. All everyone can do is try their best to muddle through it. (Loosely connected one-shots centered around Connie's interactions with each of the Crystal Gems).